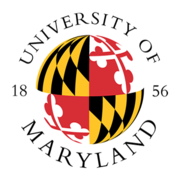 The University of Maryland is the state's flagship university and one of the nation's preeminent public research universities. Ranked No. 19 among public universities by U.S. News & World Report, it has 32 academic programs in the U.S News Top 10 and 73 in the Top 25. Master Class for Corporate Entrepreneurs via Coursera 4 weeks long 4 weeks long 22nd Apr, 2019 No reviews yet. Crafting Strategies for Innovation Initiatives for Corporate Entrepreneurs via Coursera 4 weeks long 4 weeks long 22nd Apr, 2019 No reviews yet. Financing and Profiting from Innovation for Corporate Entrepreneurs via Coursera 4 weeks long 4 weeks long 22nd Apr, 2019 No reviews yet. Developing the Opportunity for Corporate Entrepreneurs via Coursera 4 weeks long 4 weeks long 22nd Apr, 2019 No reviews yet. Building the Business Model for Corporate Entrepreneurs via Coursera 4 weeks long 4 weeks long 22nd Apr, 2019 No reviews yet. The Cycle: Management of Successful Arts and Cultural Organizations via Coursera 6 weeks long 6 weeks long 29th Apr, 2019 No reviews yet. The Effect of Fires on People, Property and the Environment via Coursera 6 weeks long 6 weeks long 6th May, 2019 No reviews yet. Survey Data Collection and Analytics Project (Capstone) via Coursera 4 weeks long 4 weeks long 13th May, 2019 No reviews yet. How To Land the Job You Want (Capstone Project) via Coursera 3-4 hours a week , 8 weeks long 3-4 hours a week , 8 weeks long 24th Jun, 2019 No reviews yet. Marketing Management via edX 8-10 hours a week , 7 weeks long 8-10 hours a week , 7 weeks long 26th Aug, 2019 No reviews yet. Dealing With Missing Data via Coursera 4 weeks long 4 weeks long 15th Apr, 2019 No reviews yet.